Children’s Surgery International’s staff and Board of Directors comprises individuals who represent an array of sectors from medicine to business. Such variety in expertise helps CSI maintain its versatility as an organization and allows us to consider various aspects of our growth and development. Megan Sparks is an accomplished leader with extensive experience in healthcare access, rehabilitation, social services and nonprofit management. Megan lives in Minneapolis with her husband and two children. As the mother of a child with special needs, Megan understands firsthand the need for access to essential and life-changing medical care. She has traveled to Ethiopia and Mexico with CSI. Sue Baysden has been the part-time administrator for CSI since 2003 and has been on the Ghana mission three times. Sue has lived in Cote d’Ivoire, Pakistan and Syria. She received her bachelor’s degree in International Relations at the University of Minnesota and serves on the board of Family Promise of Anoka County. CSI was thrilled when Dr. David Tetzlaff joined our leadership team as Medical Director in 2015. Dave is a Board Certified Hospitalist in Internal Medicine and Pediatrics and has been involved with CSI since 2005. 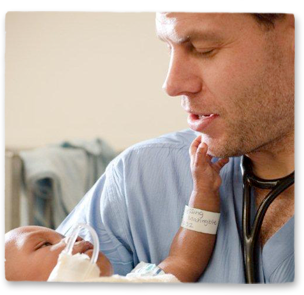 He has served as lead physician on numerous site visits and medical missions, and his energy, knowledge and people skills make him a favorite with CSI volunteers. When David is not at the hospital or volunteering for CSI, he enjoys cooking and spending time with his family. Melanie McCall has more than 25 years of experience in communications and marketing leadership roles. Her most meaningful professional and volunteer work has been for nonprofit organizations, including the Saint Paul Chamber Orchestra, the Minneapolis Pops Orchestra, TakeAction MN and Westminster Presbyterian Church. She and her husband, Dr. Dan Sampson, live in Minneapolis and have two children. Melanie has traveled with CSI to Liberia and Mexico. She joined the CSI board in 2015. Peter J. Falker is President of FalkerInvestments Inc., a Registered Investment Advisor providing investment management and financial consulting services. He has a B.A in Economics from the University of St. Thomas and earned the right to use the Chartered Financial Analyst (CFA) designation. He currently lives in Safety Harbor, FL with his wife and two children. Peter joined the CSI board in 2019. Siva Chinnadurai recently joined the team at the ENT and Facial Plastic Surgery clinic at Children’s Hospitals and Clinics of Minnesota. 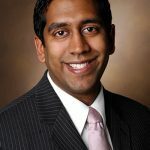 Prior to this, he was an Associate Professor of Otolaryngology at Vanderbilt University and worked in the Vanderbilt Institute for Global Health. In his clinical practice and research, he focuses on cleft lip and palate, speech disorders, and congenital disorders of the face, neck, and ears. Siva has traveled with CSI to Ethiopia, Tanzania and Vietnam. 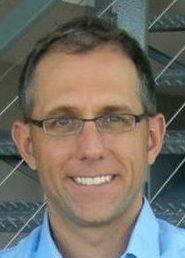 Jason DeShaw is a Vice President of Operations at Trimble in the Transportation Sector. Jason has over 20 years of experience working with companies focused on improving processes via software solutions. He and his wife, Jennifer have a son and they live in Shakopee, MN. He joined the CSI Board in 2019. 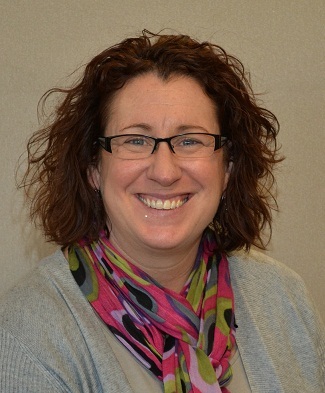 Amy Fischer has more than 25 years of experience as an editor and copywriter, from working at newspapers in Kansas, Missouri and New York, to her current role as an editor/copywriter for Infinity Direct in Plymouth, MN. She has been a volunteer for CSI since 2014 and joined the board in 2017. She traveled with CSI to Ethiopia and Liberia. Amy and her husband, John, live in Minnetonka and have three adult sons. Mary Johnson is a staff nurse in surgery at Children’s Hospital in Minneapolis. She is CSI’s go-to person for ordering and procuring donations of suture and other surgical supplies. Mary has been on the CSI Board since April 2009. She lives in Burnsville. Mary has been on many missions with CSI, including recent trips to Ethiopia and Liberia. Lora Stege Koppel has been on the CSI board since 2008. She has been a nurse for 25 years and has held various nursing and management positions at Children’s Hospitals and Clinics of Minnesota. Her passion for travel and working with children has made her work with CSI extremely rewarding. Lora lives in South Minneapolis with her husband, Jim, and two daughters. She has been on many missions with CSI, including recent trips to Ethiopia, Liberia, Mexico and Vietnam. 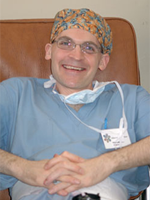 Tim Lander serves as the Vice Chief of Surgery at Children’s Hospitals and Clinics of Minnesota and holds a clinical appointment at the University of Minnesota as an Assistant Professor of Pediatric Otolaryngology. A large part of his Minnesota practice includes the surgical care of children with cleft lip and palate. 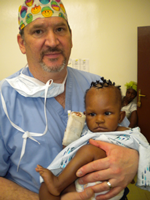 He began working with CSI in 2004, joined the CSI Board in 2010, and has served as a surgical team leader on missions to Peru, Mexico, Ethiopia and Liberia. 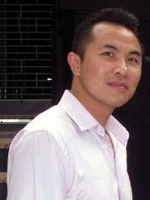 Conrad Nguyen has spent the past 20 years in international business development and marketing leadership roles in the healthcare industry. Difficult challenges in his early life have made Con passionate about helping others develop, and he leads by example. Con was the recipient of the 2014 3MGives Global Volunteer Award. He has traveled with CSI to Liberia, Tanzania, and Vietnam. Neal Peterson is a partner at the international law firm of Dorsey & Whitney LLP where he is co-chair of the firm’s Health law practice group. He and his wife, Dr. Deanna Thompson, have two adult daughters and live in St. Paul. Neal has attended many CSI galas, and the stories he heard at them inspired him to find a way to get more involved. He joined the CSI Board in 2017. Lynn Randall is Vice President of Quality Nurse Anesthesia Professionals PC and a CRNA at Gillette Children’s Specialty Health Center. 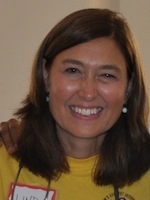 Lynn joined the board in 2009. Lynn helps procure donations of anesthesia equipment and supplies. He has traveled with CSI to Ghana, Peru, and Liberia. Brianne Roby is on staff at the Children’s Minnesota ENT and Facial Plastic Clinic and the Children’s Minnesota Craniofacial Clinic. 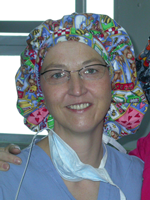 She is the Director of the ENT and Plastic Surgery Fellowship at Children’s Hospitals and Clinics of Minnesota and the University of Minnesota. 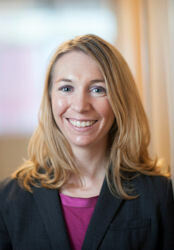 Her interests include all aspects of pediatric otolaryngology and facial plastic surgery, including cleft repair. She joined the Board in 2017 and has traveled to Liberia and Mexico with CSI. Zinda Schaefer has worked in online marketing for over 20 years and recently retired from Nina Hale, Inc. Digital Marketing in Minneapolis. She is passionate about children’s health. Zinda is a long-time supporter of CSI and joined the board in 2018. She traveled on her first trip to Mexico in 2017. 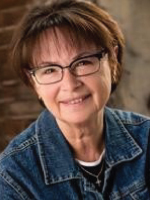 Linda Sedgwick is a Pediatric Nurse Practitioner with experience in pediatric health care, including outpatient primary care, home care, inpatient care and research. Linda has been a volunteer for CSI since 2011, joining teams to Bangladesh, Ethiopia, Liberia and Vietnam. She joined the CSI Board in in 2013. She and her family live in Minnetonka, Minn.
Norie Wilson is a nurse and Clinical Quality Analyst at the University of Minnesota, Community-University Health Care Center. 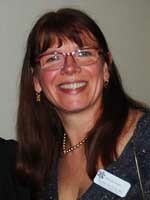 Norie joined the CSI board in 2012 but has been been traveling with CSI for more than a decade. 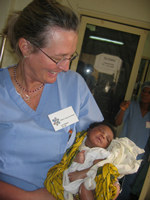 She’s been on medical missions to Bangladesh, Ethiopia, Haiti, Mexico, Peru, Tanzania and Tunisia. Norie lives with her family in Minneapolis.